S 485 x 500px 0.5 Mb. M 970 x 1000px 2 Mb. L 1940 x 2000px 8 Mb. XL 2716 x 2800px 15 Mb. 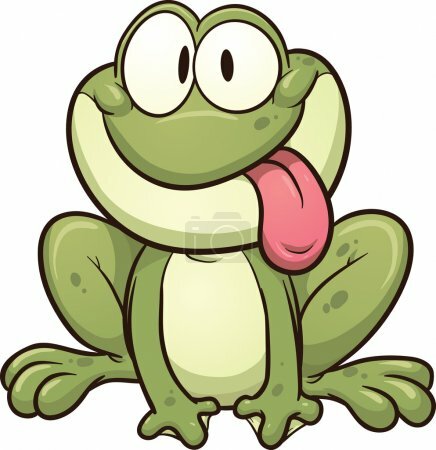 Cute cartoon frog sticking tongue out. Vector clip art illustration with simple gradients. All in a single layer.